Fred. 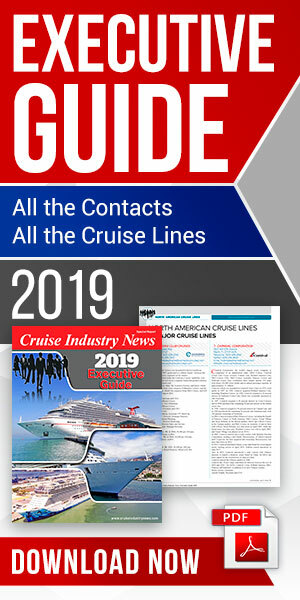 Olsen Cruise Lines has confirmed the appointment of Geoff Ridgeon as its new Head of Sales, with effect from May 7, 2019, according to a press release. Reporting into Justin Stanton, Sales and Marketing Director, Geoff will take overall responsibility for managing Fred. Olsen’s UK Sales teams, as well as further developing relations with the travel trade. Ridgeon has been Head of Cruise at Fred. Olsen Travel – also based in Ipswich, Suffolk – since 2011, and has fulfilled a number of roles over his 22-year career at Fred. Olsen, including Franchise Manager, Sales Manager – Star Clippers, and Reception Manager across the Fred. Olsen fleet. Ridgeon will be following in the footsteps of Fred. Olsen stalwart Mike Evans, who has been Head of Sales at the cruise line since April 2017. Evans will be retiring on April 26 after a 27-year career with Fred. Olsen. Ridgeon said: “I am delighted to be taking on this exciting new challenge, and I look forward to bringing my 14 years of travel agency experience to Fred. Olsen Cruise Lines, which will stand us in good stead in growing our relationships with the trade. “Of course, I will be sad to leave Fred. Olsen Travel and GoCruise, where I have enjoyed a long and varied career, but I am thrilled to be joining another thriving part of the Fred. Olsen business. I would just like to pay tribute to all my colleagues and Managing Director, Steve Williams, for their valuable support over the years. Justin Stanton, Sales and Marketing Director for Fred. Olsen Cruise Lines, said: “We are extremely pleased that Geoff has decided to take on this pivotal role at Fred. Olsen Cruise Lines. We know that his close links and strong reputation with the travel trade will help us to build upon our existing Sales success. "Geoff is well-known within the travel industry and – while we will really feel the loss of Mike Evans moving on – he will be a great addition to our senior management team. "Geoff comes to us with a wealth of knowledge about the travel industry – and Fred. Olsen specifically – and we are all looking forward to welcoming him when he takes up his new post in another part of the Fred. Olsen group." Ridgeon lives in Trimley St Mary, near Felixstowe, Suffolk with his wife and two children.